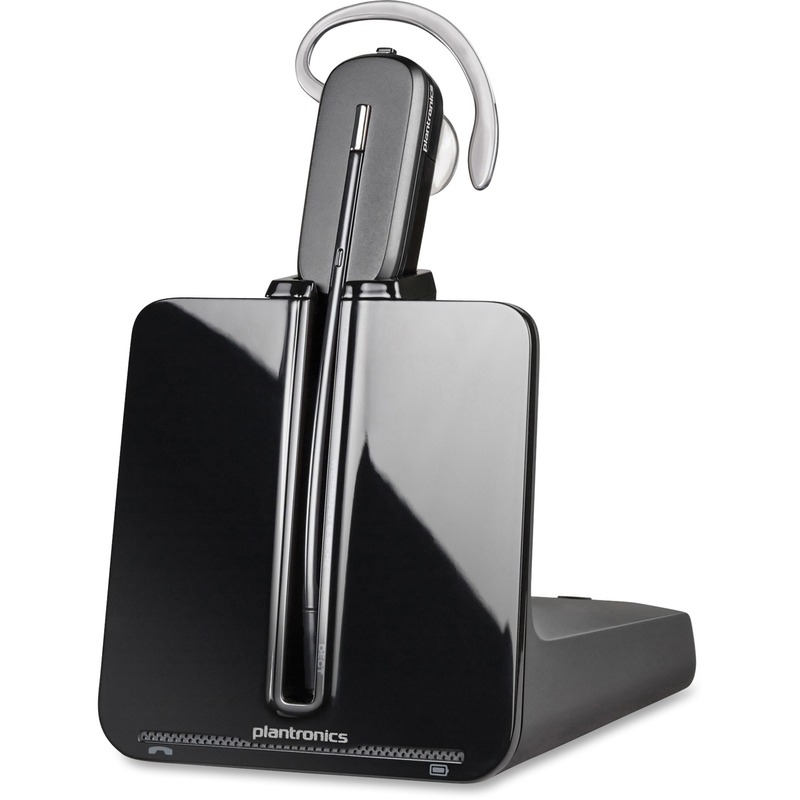 This Wireless Headset System connects to your office phone, giving you superior comfort and mobility up to 350 feet. Voice-dedicated 1.9 GHz DECT technology and advanced wideband audio provide uncompromised audio quality, the lowest probability of interference, and up to 9 hours of talk time. Adaptive power system optimizes balance between range and talk time. Volume and mute controls at your fingertips allow adjustments remotely. Digital encryption assures secure conversations. You can conference up to three additional CS headsets to have coworkers easily join calls. Battery is 80 percent recharged in 1.5 hours and fully recharged in 3 hours. Convertible headset gives you your choice of over the head, over the ear, or behind the neck wearing style.